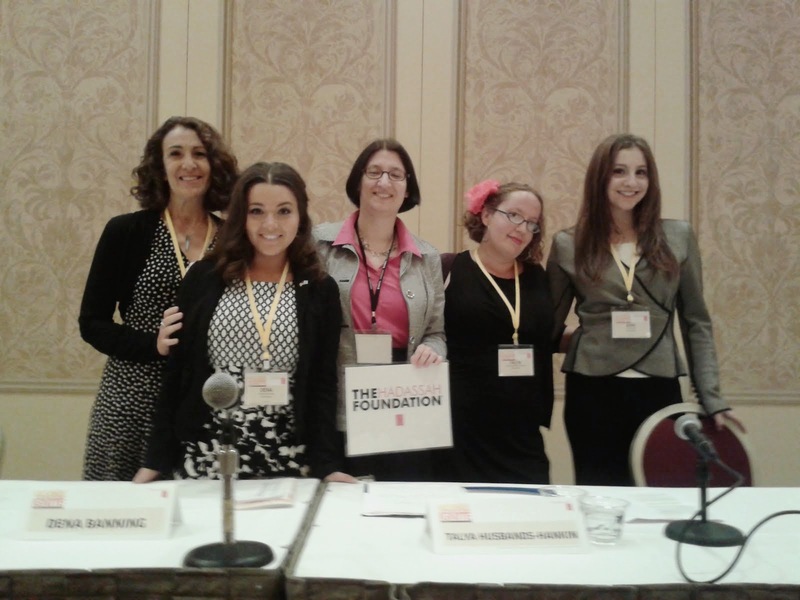 The Hadassah Foundation was excited to organize a session about Jewish women of tomorrow at the Hadassah national convention in Las Vegas last week! Our fabulous panel was moderated by Deborah Meyer, the director of our former grantee, Moving Traditions (pictured on the left); Talya Husbands-Hankin, a consultant to another former grantee, Keshet (pictured second from right) was also on the panel. 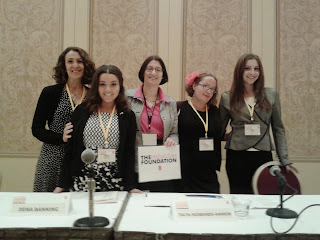 Other session participants included a student at the local Jewish day school, and a member of the Hillel board at UNLV. 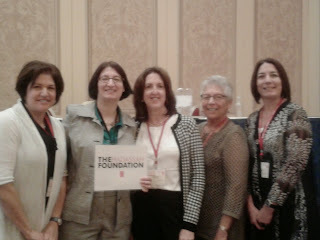 The Hadassah Foundation is having a good showing at Hadassah's national convention in Las Vegas! Today, Board Member Lonye Rasch (center, above) and Director Rabbi Ellen Flax (to Lonye's left) spoke at a session about how Hadassah empowers women around the world, with a focus on the Foundation's grant making in Israel. A campaign begun 10 years ago by the Adva Center to convince the Israel Finance Ministry that it should undertake a gender audit of the national budget, for the purpose of increasing gender equality, as well as budget transparency and efficiency, saw a breakthrough in October 2013, when the Minister of Finance appointed a national committee to examine that very possibility. The Adva Center provided professional consulting services to the committee. On June 25, 2014, another milestone was reached, when the committee submitted its interim report. The Committee recommended that government ministries undertake gender audits of their own expenditures, and that the State Revenues Authority undertake a gender audit of state revenues, beginning with the national budget for fiscal 2015. Gender mainstreaming, which includes gender auditing of budgets, is a strategy for improving the status of women in society. It involves examining whether a particular program or budget, which is assumed to be gender neutral, actually has a differential effect on women and men, then changing the program or budget so that it contributes to greater gender equality. The Committee for Gender Auditing the National Budget of Israel delivered its interim report in late June, at the Knesset, at a meeting of the Knesset Committee for Promotion of the Status of Women, chaired by MK Dr. Aliza Lavie. The Committee recommended that government ministries undertake gender audits of their own expenditures, and that the State Revenues Authority undertake a gender audit of state revenues, beginning with the budget for fiscal 2015. The Committee also instructed the Budget Department of the Finance Ministry and the Office of the Prime Minister to prepare a Gender Audit Guide. The Adva Center was informed that its gender experts will be involved in creation of the Guide. Finally, the Committee recommended that a gender audit be included in the official, published budget book of each government ministry. The Hadassah Foundation has issued a Request for Proposals for Israeli organizations working to help low-income women in Israel achieve economic independence. Grants of up to $25,000 will be awarded for programs that provide training in savings, asset development, and pension planning for women; grassroots resources and training for women; legal and policy advocacy; business development services that help women who own businesses improve their outreach and marketing; and leadership development initiatives that increase the number and capacity of women in positions of leadership. The foundation rarely funds entrepreneurship or financial planning programs that take place in only one location, and rarely invests directly in a cooperative or other business. To be eligible, organizations must have amutah or mossad tziburi status. For complete program guidelines, information about previous grant recipients, and application instructions, visit the Hadassah Foundation website. All applications are due by July 30, 2014.